We’re on to Wednesday, so here’s a quick rundown of this morning’s top stories. 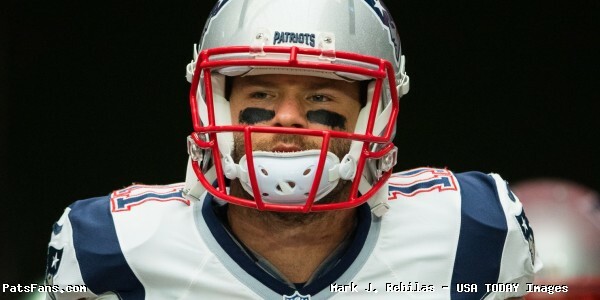 He’s Back – One bright spot coming out of OTAs on Tuesday was the return of Julian Edelman, who spent all of last season sidelined after suffering a knee injury during the preseason. 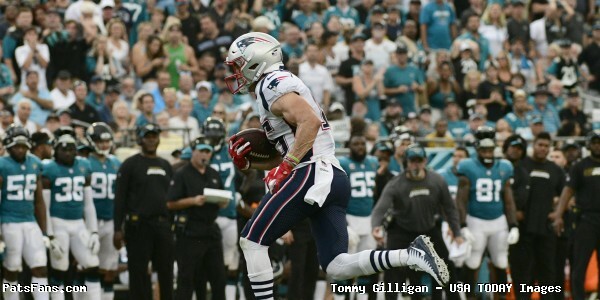 According to most reports Edelman looked as strong and quick as ever, appearing to be back to his explosive shifty self during his limited time on the field. Edelman only took part in individual drills but from how it went, it’s good news for a player who has quietly proven to be one of New England’s most important assets in the Patriots’ offense and the fact he looks this strong is certainly a good sign. The veteran receiver was also celebrating his 32nd birthday on Tuesday, which marked Edelman’s second straight day of participation after he also took part in Monday’s workout. 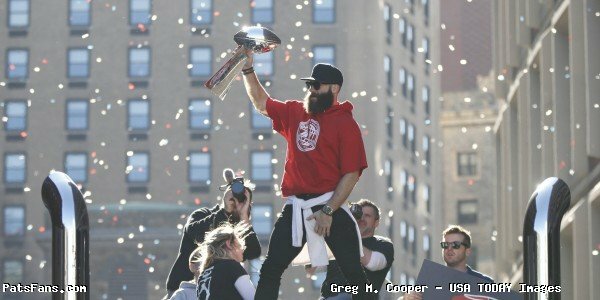 Having spent a full season away from the game, Edelman told USA TODAY’s FTW recently that he tried to maximize the time with mental reps and spend time with his daughter, but remained focused on getting himself back on the field. No Mitchell Tuesday – One day after reports of Malcolm Mitchell being out catching passes, the third-year receiver wasn’t spotted during Tuesday’s practice. That’s a bad sign for a player who at this stage should be recovered from his injury but may still managing something. Mitchell showed tremendous toughness during his rookie season after dislocating his elbow during the preseason but despite reports that had him potentially lost for a prolonged period of time, Mitchell was back in action by Week 1 of the regular season. Given his toughness and his desire to be on the field, the fact he’s not will be something to keep an eye on. Social media posts toward the end of last season seemed to indicate he was hoping to make it back, but unfortunately, that never happened. But if he continues to miss time over the next couple of weeks, it potentially sets a concerning precedent heading into training camp. 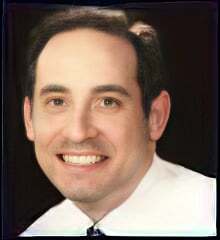 Mitchell told Mike Reiss back in February that he was looking forward to getting back to work. Hopefully, we’ll see him back out there soon. Quarterback Situation is Less Than Desireable – If ever there was a season to hold your breath each time Tom Brady takes a big hit, it’s hard not to argue this will be it. According to most reports, Brian Hoyer didn’t have his best performance on Tuesday and was erratic, misfiring on quite a few throws along with turning the ball over. Danny Etling reportedly had a limited amount of attempts, and some reports did feel he actually looked better than Hoyer. However, the biggest knock was the fact he reportedly looked tentative, which is to be expected given his status as a rookie in just his second workout with the team. But this current depth chart is essentially a placeholder until either Etling develops or they bring in another player. Hoyer’s time has long since come and gone and it was his familiarity with the system and previous tenure that sparked his return following the team’s decision to move Jimmy Garoppolo during the 2017 regular season. He was here because he knew the system and it was a quick fix following Garoppolo’s departure to provide seasoned depth behind Brady. The biggest problem this season is that should Brady be lost, Tuesday’s practice was a reminder that it’s definitely going to be shaky until someone eventually emerges behind New England’s starting quarterback. With the team heading into this season with their 41-year old signal-caller, one can only hope he goes out and puts up another incredible year as a distraction to the fact there’s no longer someone even close on the roster that can fill his shoes should they find themselves without him. According to reports, Crossen came up with a huge end zone interception on a pass from Brian Hoyer to James White, showing terrific athleticism both on that play and on others during the session. The seventh-round pick out of Western Carolina was also involved in several pass break-ups, which now makes him a player to keep an eye on as he’ll now be forced to prove that he’s ready to build on his early success. Rookie CB Keion Crossen had a hell of a practice. QBs were 0 of 5 while targeting him. Crossen had a leaping INT in the end zone and two pass breakups. 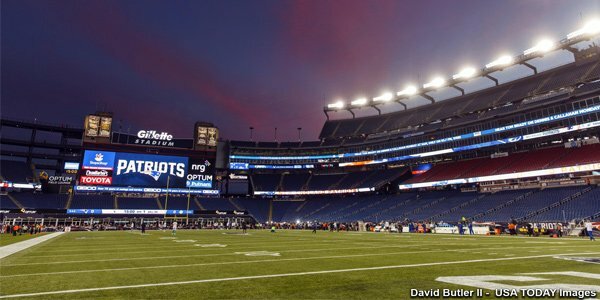 This entry was posted in 2018 Patriots Offseason, Patriots Commentary, Patriots News, Patriots Rumors, Uncategorized and tagged 2018 Patriots offseason, 2018 Patriots season, 53 Man Roster Projection, Bill Belichick, Brian Hoyer, Danny Etling, Julian Edelman, Malcolm Mitchell, New England Patriots, NFL, Patriots, Patriots quarterbacks, Patriots wide receivers, Tom Brady on May 23, 2018 by Ian Logue. The Patriots, after trading Jimmy Garoppolo at the deadline last season are back looking for an eventual successor to Tom Brady. 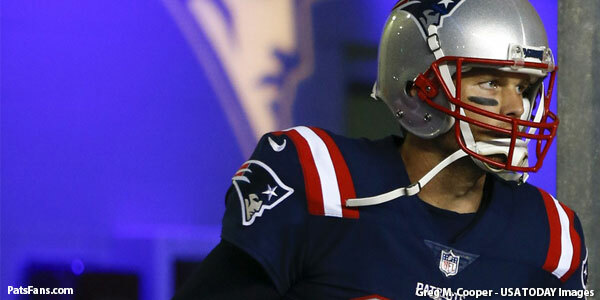 While Brady showed no signs of slowing down last season, he’s going to be 41 this August and it is just a matter of time before he finally begins to show his age. Brian Hoyer is just a journeyman, backup and while they can rely on him to hold the fort down for a week or two in an emergency, he doesn’t have the skill set or the longevity to be the solution. So, after trading Jimmy G. because they couldn’t afford both he and Brady in 2018, they’re back to square one. Everyone is expecting the Patriots to dip into the draft this year to find a possible Brady succession plan. But Belichick and Caserio are under no compulsion to do it this year. If they don’t like any of the quarterbacks this spring, they can roll the dice and go with Hoyer for another year but it does put off the inevitable and then, whoever they do draft would lose out on valuable learning time and getting a comfort level in the offense. 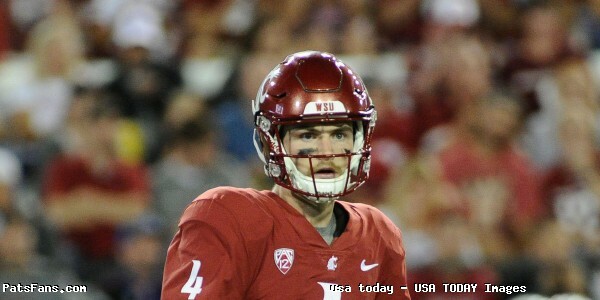 Luke Falk from Washington State, is, in our opinion an intriguing option for the Patriots. He’s got the size (6’4, 225-pounds) that they like and at times he has the look of a polished finished product, delivering dimes all over the field, under heavy pressure. But there are other times, where he’s maddeningly inconsistent, where he seems to process things too long and throws almost nonchalantly into coverage. Falk has a good but not great arm, and can the short, intermediate and deep throws down the field. He has shown that he can put good touch on the ball and is very accurate. The ball comes out of his hand quickly and has very good pocket awareness and can slide in the pocket to buy time. One thing he’ll have to learn is to take snaps under center, something Mike Leach’s offenses at WSU never do. He does a good job at times manipulating the defense with his eyes and can look a safety off his throws. Despite his perceived lack of arm strength, Falk isn’t afraid to throw into tight windows. – Footwork needs to be worked on. Falk will be under no rush to hit the field. He should be the third QB on the roster and focus on learning the offense, trusting in his offensive line, which was bad at WSU. Yes, in Year 2 he should be ready to challenge Hoyer for the backup job and start getting a handle on how to run the offense quickly and efficiently. 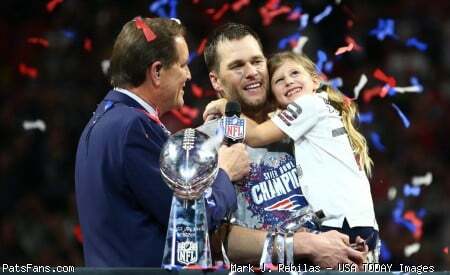 He is a dyed in the wool, unabashed lover of all things Tom Brady. His teammates joke about how he tries to emulate everything Brady does, down to his film study and preparation. Falk even bought the TB12 book and said that he was trying to drink more water and eat better. He could do a lot worse in his choice of who to pattern himself after. 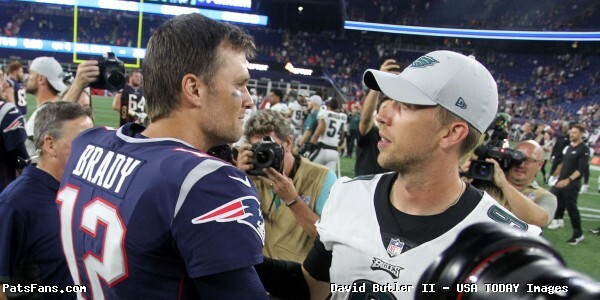 And Falk isn’t ready to assume the mantle of a full-time NFL starter, so holding the clipboard for Brady and soaking everything up and learning from the side of your idol may not necessarily be a bad thing…at all. Falk has some things to work on in his game, and working with Brady and Josh McDaniels may be a great match. He has the talent to get his foot in the door. 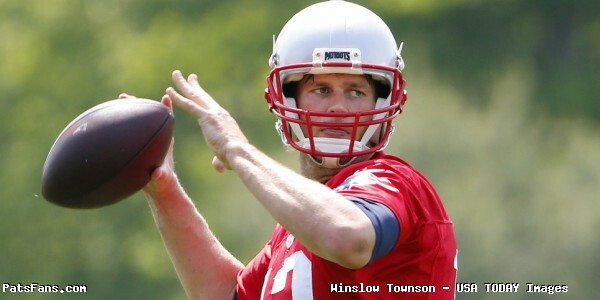 Can he take his game to the next level and beyond like Brady has done? That’s the $64,000 question for the Patriots and Bill Belichick. But he’s a very good developmental prospect who has a high football I.Q. was a four-year starter on his college team and has very good accuracy. Falk has good pocket awareness and will be a nice fit with the Patriots if the situation avails itself and he’s taken in this upcoming draft. 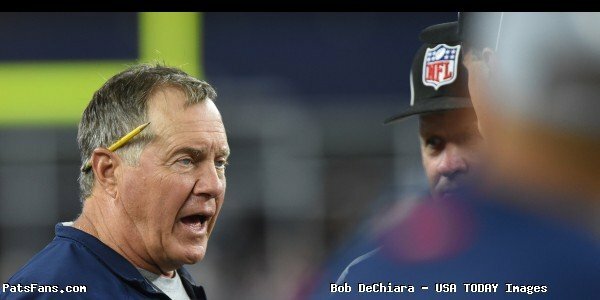 This entry was posted in 2018 Patriots Offseason, Patriots Commentary, Patriots News, Patriots Rumors and tagged 2018 NFL Draft, 2018 Patriots offseason, Bill Belichick, Brian Hoyer, New England Patriots, Patriots, Patriots quarterbacks, Tom Brady on March 27, 2018 by Steve Balestrieri. Following the news last week that the New England Patriots signed Brian Hoyer to a three year contract to be Tom Brady’s backup quarterback for a second time, a highlight video of Hoyer’s career made rounds over Patriots Nation social media in an effort to welcome him back after his first stint in Foxboro from 2009-2011. The video comes from Twitter user NE Drew (@UltraHokage) who compiled Patriots specific Hoyer highlights set to the song “Coming Home” by hip hop artist Diddy in a parody of the similar videos made for basketball star Lebron James during his return to Cleveland in 2014. This entry was posted in Patriots Commentary, Patriots Video and tagged Brian Hoyer on November 7, 2017 by Robert Alvarez.